Someone new has picked up the mantle and is leading the way to help our industry. 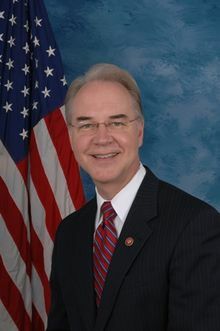 That someone is Representative Tom Price from Georgia. He is a physician who has recognized the importance of DME/HME providers and dealers! They are located throughout the United States, operated by local professionals and working closely to supply their clients the best service and equipment. I am very active where I live and work with senior citizens. I am one (an octogenarian) and my peers all share with me their problems. Actually, what I hear most is appreciation they have for their “small” DME/HME provider. They tell me they really receive a great deal more than just supplies. The amount of pro-bono service and personal care makes it so important for them. Dr. Tom Price cannot, by himself, get a bill out of committee and to the floor to be passed. He needs as many allies as possible and that is where we come into the picture. Please contact your Representatives. They are now at home. This is pre-election time. Yes, they will listen to you. Explain why we need the MPP and that you, your staff, your customers and their family caregivers are all anxious to see this bill become the law. They will recognize how many votes you can influence! They will also realize the importance of bringing it to Congress. There are 13 Representatives who have already joined as co-sponsors. They are Reps Jason Altmire (D-Pa), John Barrow (D-Ga). Marsha Blackburn (R-Tenn). Bruce Braley (D-Iowa), Cathy Castor (D-FL), Mike Kelly (R-Pa), Steve King R-Iowa), Tom Latham (R-Iowa). Steve LaTourette (RT-Ohio). Pat Tiberi (R-Ohio) and Joe Wilson(R-SC). Dr. Price will be attending Medtrade. Cara Bachenheimer and Van Miller are co-hosting a reception 10/16 in room B213 from 10 AM to 11 AM. For details please contact Diana Kincaid (770-425-5725). It is imperative that we support our State and National Associations in their efforts to get this bill out of committee and into Congress to be passed. We must all work together. Our future is at stake. Please get on board! Together we can do it! MPP Partners! Take Action Now! We do not stand-alone. Our industry is so fortunate currently to have the associations in place who fight to see to it that MPP becomes a reality and the competitive bid is replaced! I read ALL the e-mail I receive from the national and the state DME associations. They are working very diligently to provide every one with the information and tools necessary to bring MPP, the marketing pricing program to become the new legislation so desperately required. I wish to recognize Tammy Zelenko, whose company, AdvaCare Home Services, is a member of PAMS (Pennsylvania Association of Medical Suppliers). Working together with AA HomeCare she represented our industry in DC before the House Small Business Subcommittee on Health and Technology. Click here to read the article from Medtrade Monday on Tammy Zelenko's testimony. Now every one of us has to get on the bandwagon and let our legislators know what must be done. It is the health and care that every American citizen should be able to get, no red tape, no competitive bid, but service to maintain their good health. I understand that representative Tom Price (Georgia) is in the process of preparing legislation to replace the competitive bid with MPP. This is a CALL TO ARMS. We have to act with speed. Our congressmen must be asked to be on the list to supporters Rep. Tom Price (or they will be voted out of office) so we must also reach their opponents. Now, as soon as you set this aside, please call 202-224-3121, the switchboard for the representatives and ask to speak to yours. You will probably be directed to their HLA (health legislative assistant) and with the tools available from your state and national associations, deliver the message. DO IT NOW, DO NOT PROCRASTINATE. There is far too much at stake, your livelihood, your customers and your future. When we all participate in this effort, at Medtrade in a few weeks, we hope to see some changes coming, but …. If you do not respond STAT, I am afraid you may just disappear. When my classmate Victor and I decided it was time to open our own retail Pharmacy, we had a number of major decisions to make. The first and foremost was where: location, location! Then did we have something different to offer? And of course, did we have sufficient funds to make it all work? We were very fortunate, thank “goodness”. Today the same problems must be dealt with, same as Vic and I did in the 1950s. However, these days our profession is controlled by different legislations. The biggest difficulty to overcome is the competitive bidding yoke around our necks! When we opened our pharmacy in those days our future depended on a marketing pricing program! Yes, that is what it was but not called that in the 1950s. Today MPP has now become one of the important programs, if not the most critical, which must be understood by DME/HME providers. Your company, operated by an entrepreneur, must be able to control your marketplace. The prices you charge for the services and products you offer have to be competitive. A major part of being competitive is that customer recognizes the services that come with the supplies! Fee for merchandise that a DME/HME charges will reflect that! Service has always been an integral part of pricing. Market pricing has always been a key to success especially when it is in place of a “bid” for lowest prices. That is when the customers will invariably be the big winners. I can best explain this; I live in a very nice community. There are several independent DME/HME dealers and there are two hospital chains that all offer the same. The pharmacies compete with the chain stores. But an MPP program offers each of them the same chance! Read what HME News has to say about the recent MPP bump from congressional hearing. My wife and I go to an independent pharmacy, which also has a DME location. They are now in a strip mall. Each segment operates in one-half of the large showroom. Every customer is greeted, usually by name when they enter. Both the pharmacy staff and the DME personnel are always readily available. At Medrade in Atlanta there will be much discussion about this topic (MPP) and it is vital that you attend as many of the classes being offered as possible. The future of your company and our industry depends on what you do. 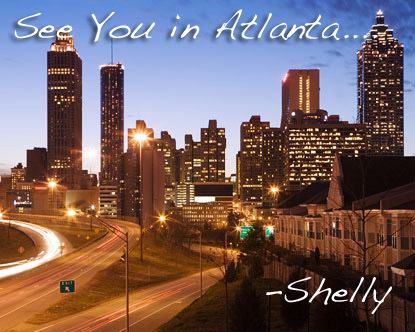 Medtrade Atlanta is a one-time opportunity that must not be missed. Every one of us has to join forces with one another. Both the state and national associations must work diligently to see that MPP, the marketing pricing program becomes a reality and the competitive bidding sitting on our shoulders disappears! Be there! Support AA Homecare in their efforts to have MPP seriously considered by congress: Click here to learn how to help! This morning, I received a most enjoyable and interesting phone call. For many years I have been meeting a special friend at the Medtrade meetings in Atlanta. We always have many things to discuss and I always looked forward to seeing him. There is nothing better than greeting an old friend! This morning I asked him “Why?” I wanted to know what is the magnet that draws him to the Medtrade Exhibitions annually? I always have appreciated Medtrade as the best venue to hear high-caliber speakers with so much to teach us. I have said time and time again that there is no better place then Medtrade for this. If there were nothing more available, the seminars would prove to be more than adequate as a reason to attend. But there is much more at Medrade for DME/HME providers. They can leave the show armed with new information to increase volume and profits. They can learn new ways to operate their company in these critical times. Even more valuable is how to build for the future. The manufacturers and exhibitors are all integral parts of Medtrade and so are the state and national associations. Yes, that is a great reason why every DME/HME provider should attend Medtrade. We stayed on the phone for about 20 minutes, me in Florida and he in upstate New York. This past weekend, I visited with some friends who I have known for many years. The one thing we have in common is that we are all octogenarians, living in Florida with families up north. It appears that all our children deliver the same message, “live near us”, “what will happen when one of you is really ill”, “who will take care of you then”, etc., etc. I hear this story almost every time I talk with my peers. They don’t realize how comfortable we elders are, with cronies who share the same difficulties, living in our own homes! Hold a “NO PLACE LIKE HOME” day in your showroom. Invite local physicians, nurses and therapists to speak. Invite your vendors, all of who offer comfort items for seniors to participate. At Medtrade, you will discover many items that would be appropriate. Speak to those vendors and they will all volunteer to be one of the presenters. With a little planning, you too, can do the same. Today the average senior citizen has many disposable dollars available for comfort items. Their children encourage they attend these days and often they will come with them. There are many new items, which will be presented at Medtrade this year in Atlanta. You must see them all and then make arrangements to show them to your clientele. This is a golden opportunity to develop new and larger OTC cash sale s as well as perform a great service! I often write about the importance of communication. I spoke about this in my blog called “Monday Morning”, because that is when I find my e-mail box full (I receive more than 135 messages daily). Reading these starts my day in a most positive fashion. "Communication" is a difficult term to explain. To me it is simply means “passing information” from one to another. We are in the health care provision segment of the industry and all of us face similar problems. When we talk or write to peers our communication messages normally are telling how we have coped with difficulties. Topics range from Medicare, family caregivers, customers, staff and any or everything that happens every day. In the nearly 35 years I have been attending the Medtrade Exhibitions it has invariably been the venue where “communication rules”. I walk the floor and speak to as many providers possible and what I learn is amazing. Providers in California and Maine all have answers they share with how they approached and resolved a problem. They, at opposite ends of the country, responded to the same nuisance in a different fashion and have good results. Whether you stroll the exhibition floor, attend a seminar, a lecture or participate in the multitude of activities available at Medtrade this year in Atlanta, come prepared with a pen and paper pad, laptop, or iPad. Don’t trust your memory to recall all the information that passes from one to another. Write things down. Last year I spoke with two different providers, one from Missouri and the other from Alabama. Each had a small recorder and recorded everything I they heard of value for their company. When you return home, you will be able to remember much of the communication. Armed with that information you will be able to put into effect many new changes. This is when you realize that Medtrade is a most important opportunity to communicate with peers and educators. Shelly Looks Back... Cash Sales in the 1950s! My business partner, Victor, and I opened our first retail pharmacy in Rosedale, N.Y. in the early 1950s. It was a rather small location, long and narrow, but it was ours. We were both veterans of WWII and this humble beginning led to many exciting years. Our pharmacy was one of the very first to offer DME/HME products. We had just two wheelchairs displayed in a corner of the showroom. We had a pegboard where we showed many basic items such as bedpans and urinals. One evening, an elderly woman asked me, "why are there two different chairs"? I spent about 15 minutes explaining and demonstrating both. She thanked me and I returned to filling prescriptions. About an hour later she came with her husband and I repeated the entire sales pitch for them again. Yes, they bought a wheelchair that evening for about $125.00. In the early 1950’s, the average price of a prescription was well under one dollar and more than half of them required compounding. On this wheelchair sale we earned a 40% PROFIT ($50.00)! How many prescriptions did we have to fill to make the same profit? That happened more than 60 years ago and I still have the same belief in what I learned that evening. Over the counter (OTC) cash sales are the key to success, whether you are a DME/HME provider or a pharmacist. At Medtrade next month you will see many products suitable for OTC cash sales. Take advantage of them! 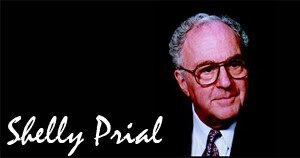 Today’s blog is very different, no new ideas, no political comments, just a sincere “thank you” that has been earned. I am singling out MK Battery for their “Power for Funding” Campaign. Every American will feel the efforts of this company. In the past two years the MK’s Power for Funding initiatives have already raised nearly $150,000 in support of industry trade associations. Organizations like NCART, AAHomecare and NRRTS have all received funds from the dollars raised to support both lobbying as well as advocacy programs. This is what I have been preaching for many years. We must all work together. Suppliers and vendors have the ability to bring pressure on Congress and Medicare to allow DME/HME providers to continue to exist. There are no replacements for the services provided daily, at minimum cost and often pro-bono by our industry. When we become a team and cooperate our services become formidable. Yet, we find ourselves facing lower reimbursements, competitive bids, and other unfair legislation daily. Without adequate funding, our industry may fall by the wayside. This catastrophe must be adverted. 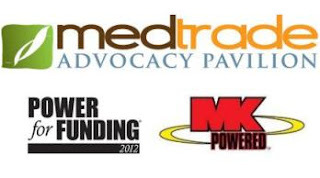 MK Battery, in cooperation with Medtrade, is sponsoring a Consumer Advocacy Pavilion at the show where providers, manufacturers, and end-user organizations can share ideas and unite for the good of our collective constituencies. Five consumer advocacy groups have already signed on and there are more to come. Dennis Sharpe, MK Battery, has reported that “.. A full list of participants will be announced soon.” Please be sure that you and all the members of your organization stop by and visit with these important advocacy groups. It is significant to realize that all of us have at stake our future. We must also recognize that everyone of our customers, clients, patients and family caregivers have even more at stake, their well being! So please be sure one of the first stops you make at Medtrade is to visit the CONSUMER ADVOCACY PAVILION! ! ! ! ! Every DME/HME provider must not miss visiting this pavilion. This is where you will see who are our friends. How many citizens do we represent? The Consumer Advocacy Pavilion will be the center of attraction at Medtrade in Atlanta. It is imperative that every DME/HME provider, every exhibitor and everyone involved in health care, MD. nurse, therapists, DDS, EMT, all, be aware of the fact that there is now a Consumer Advocacy Program. Thank you to MK Battery and Medtrade for making this possible!!!! Did you enjoy your Labor Day this week? Sometimes it feels like you need a vacation from your vacation! I have had the good fortune of working in many parts of the United States. Since I have entered my 86th year I realize how important a “holiday” can be. I took ten days off with my wife Thelma to visit the Finger Lakes in New York, tasted the wines, enjoyed the great food and saw how beautiful is our country. When I speak to dealers about taking a off a few days I invariably get the same answers. “We are too busy” or “I have too many things to do” or “there is no one to watch the company” and etcetera. Excuses. Have confidence in your ability! Appreciate the wonderful team you have developed. They reflect every thing you taught them. Then, when you take time for your holiday every thing will run just as smoothly as if you stayed in your office. Going away for a few days is always healthy and the old expression: “all work and no play make Jack a dull boy” is true. Coming soon is a great opportunity to take a working holiday. Atlanta is a wonderful city to visit. Atlanta is where the Medtrade Exhibition is held. I have truly been lucky that I have been able to attend every Medtrade since its introduction. I have seen it develop into a real experience for dealers. Yes, I took the time to make it a working holiday each and every year and so can you! Need a few more reasons to not miss out on this year's event? HME News offers 5 good reasons for you: Click Here to Read Their List! Medtrade's Early Bird Deadline is September 10th so don't miss out on the savings. Visit www.medtrade.com to register. I planned on sending the following message as an e-mail to the various state and national DME associations. But it is so important that I want every one of you to join me by giving them your support. When I see how hard they work for you and how much they accomplish, I am truly impressed. I know you appreciate the role they have by fighting for all DME/HME, not just their members. I am asking each of you that if you do not currently belong to your state or national DME association, please do so now. If you are already a member, by all means contact your peers to become one. A National election is coming and unless our industry becomes stronger, we will find some very difficult legislation coming our way! They need your strength to continue the battle! Now, please read the next. I find it so exciting preparing once again for Medtrade. It’s just a few weeks away and there is so much at stake for all the DME/HME providers. You probably are more aware of this than I am! When I receive the e-mails you send your members I realize what a superb job you each perform. How fortunate our industry is to have such an efficient team of leaders. I anticipate seeing many of you in Atlanta at Medtrade. When I walk the floors, I will remind all the dealers with whom I speak to see you. By working together my fervent wish is to see that every DME/HME provider becomes a member of the team. Please continue sending your members all the important material you provide. If I am not on your mailing list, please add my address. All I want say is my “thank you” for all the great accomplishments you all have performed!